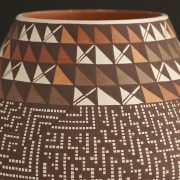 The multi colored slips are used on the neck of this new jar, alternating browns, tans, oranges, whites, and greens. 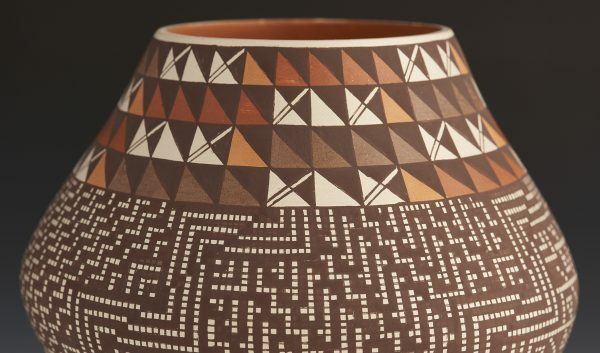 The bottom portion of the jar has the crisply painted mini squares, filled in to make a wonderful geometric pattern. The jar is magnificent, and extremely thin walled. 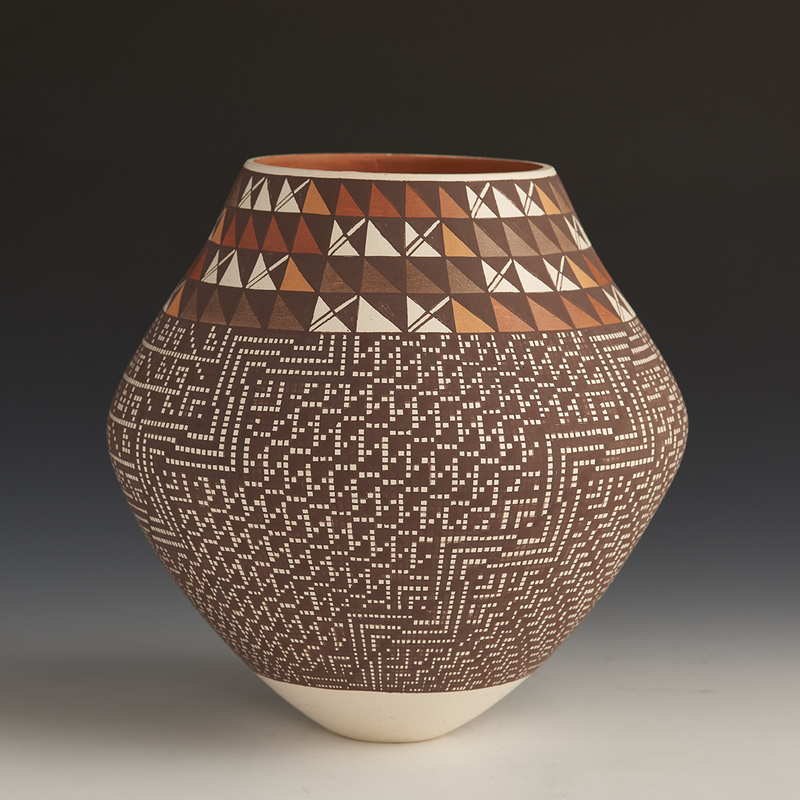 Frederica Antonio is an award winning potter from Acoma. 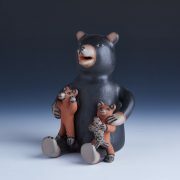 She is known for her intricately painted pottery. 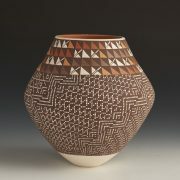 She is such an exceptional painter, specializing in super complex patterns. Some people say her work reminds them of crossword puzzles. Her completed pieces are definitely eye dazzlers. She is a sister of Melissa Antonio and a daughter of Mildred Antonio. Each piece is coil built. Still painting with a traditional yucca brush, her designs are a series of fine vertical and horizontal lines which are then filled in to create larger images in the squares. 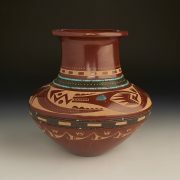 She often paints Kokopelli and cloud patterns. Frederica enjoys using her underlying spiritualism which she combines with her exquisite precision.